"Creating Effective Automated Campaigns: Case study"
Creating effective automated campaigns can save time, energy and resources to engage new leads and current customers. Learn in this case study how a prominent SaaS company increased lead generation by 19% with improved marketing campaign management. How implementation of 123ContactFor lead-capturing form can reduce the campaign creation and implementation time to one working day. HIPAA allows a transparent and secure management of PHI, reducing health-care abuse and fraud. Complying with HIPAA and putting your patient forms online is a top priority for health Institutions to keep patient's private information safe and secure. The best solution is relying on a solid and trustworthy HIPAA-compliant platform, which centralizes patients’ private and sensitive information, by following the procedures that ensure confidentiality and security when receiving, handling, transferring and storing PHI. This white paper will answer your questions such as: Why do health institutions need a HIPAA -compliant data solution? My clinic is not in the USA, why are HIPAA -compliant forms relevant for me? What are the benefits of automated online processes for your health institution? What are the top inefficient processes for health institutions? How 123contactform addresses the most important issues for health institutions? Social media refers to web applications or tools that can be used in interacting with other people to create, share or exchange information with each other through the medium- Internet. Social media was originated as a tool for individuals to exchange information with their friends and family but later businesses adopted the new communication channel just to increase their product reach. What is Web to lead ? Web-to-lead refers to generation of contact forms that can be incorporated into an existential website for example: the ‘Delivery details’ or ‘contact information’ form that is often filled as part of online shopping. Each time a form is submitted it creates a lead record in the database. 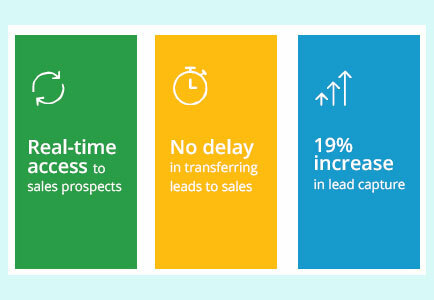 A lead is a potential sale and lifeline of every sales business.